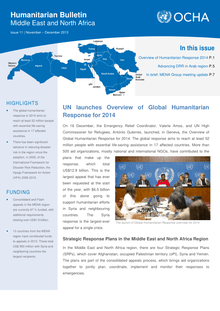 The global humanitarian response in 2014 aims to reach at least 52 million people with essential life-saving assistance in 17 affected countries. There has been significant advance in reducing disaster risk in the region since the adoption, in 2005, of the International Framework for Disaster Risk Reduction, the Hyogo Framework for Action (HFA) 2005-2015. 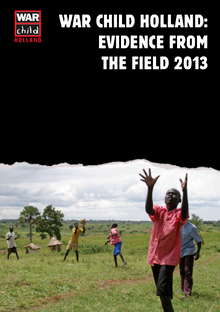 This publication is a collection of three submissions by War Child Holland to the Children and War Conference 2013. The submissions include a study on the reintegration of war affected children in five of our field offices, an examination of the detention of children and young people in East Jeruslam, and an assesment of our psychosocial intervention, I DEAL, in South Sudan. 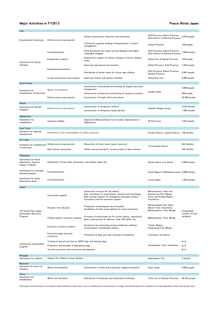 The data table below is as of 31 December 2013. 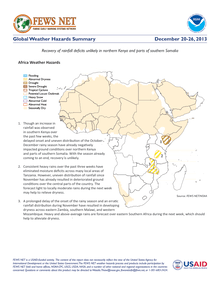 The text is as of 18 December 2013. 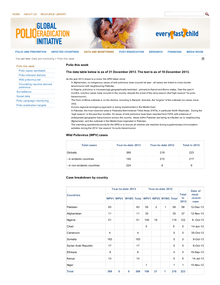 In Afghanistan, no indigenous cases of wild poliovirus have occured all year - all cases are linked to cross-border tansmission with neighbouring Pakistan. 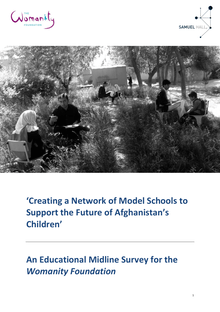 This report examines the work done by the Womanity Foundation in three of their model Afghan schools located in the provinces of Kabul and Kapisa. The ‘School in a Box’ flagship initiative aims at creating model institutions for girl’s education that can function as learning hubs in often-remote areas. 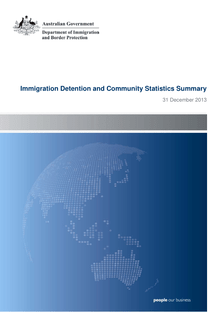 This report provides an overview of the number of people in immigration detention and offshore processing centres as at midnight on the date of the report. The report is produced on a monthly basis. Without the respect of Human Rights, security and sustainable development are an illusion. 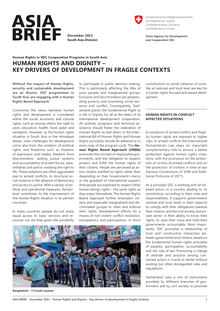 SDC programmes in South Asia are engaging with a Human Rights Based Approach. 11 Presidential hopefuls and their teams are busy preparing for campaigning, due to start on 2nd February. Two opinion polls conducted in December by Democracy International, a US-based non-government organisation, and Afghanistan-based Tolo News and ATR Consulting, put Mr Abdullah and Mr Ghani in first and second place respectively. A third poll conducted by Glevum Associates put Mr Ghani ahead of Mr Abdullah. Some presidential candidates and commentators believe the polls are not reliable. 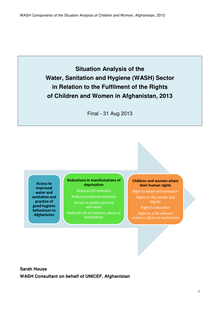 This report establishes the situation of the Water, Sanitation and Hygiene (WASH) Sector in relation to the fulfillment of the rights of children and women in Afghanistan, 2013. 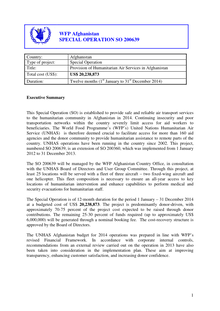 This Special Operation (SO) is established to provide safe and reliable air transport services to the humanitarian community in Afghanistan in 2014. 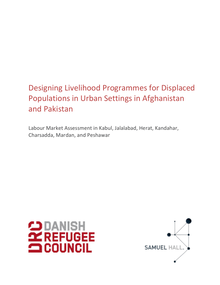 Continuing insecurity and poor transportation networks within the country severely limit access for aid workers to beneficiaries. 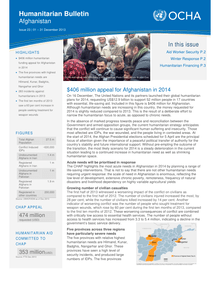 The World Food Programme’s (WFP’s) United Nations Humanitarian Air Service (UNHAS) is therefore deemed crucial to facilitate access for more than 160 aid agencies and the donor community to provide humanitarian assistance to remote parts of the country. UNHAS operations have been running in the country since 2002. 23 December 2013 – A series of United Nations-facilitated public debates and discussions on the importance of the public’s participation in Afghanistan’s Presidential and Provincial Council elections, slated for next April, concluded this week with 13 such discussions, which saw active participation of officials as well as the members of the public. 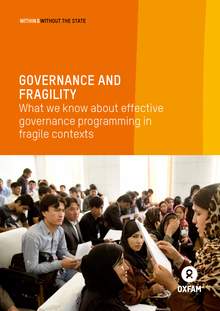 This booklet reflects the experience of the Within and Without the State (WWS) programme so far, and offers key learning for those working in the area of governance programming in fragile contexts. As part of its advocacy on a recent United Nations report on the implementation of the Elimination of Violence against Women (EVAW) law, a human rights team of the UN Assistance Mission in Afghanistan (UNAMA) travelled to a district in the outskirts of Afghanistan’s western Herat province last week. Washington DC, 28 December 2013 — The Jesuit Refugee Service has accompanied and served internally displaced persons in Afghanistan for eight years by providing education at various levels, teacher training, vocational training and livelihoods programmes to build up human and material resources for the sustainable development of vulnerable groups. QALAI GUDAR, Afghanistan, December 27 (UNHCR) – Thanks to their foresighted parents and UNHCR Special Envoy Angelina Jolie, 350 Afghan girls recently accomplished what not every girl in Afghanistan gets to – complete a year of schooling and advance to a new school year in a public graduation ceremony. The ceremony on the outskirts of Kabul also symbolized a rise from the ashes for a village almost totally destroyed by decades of conflict that tore apart Afghanistan from the 1970s until the early years of this century.